The Certified Culinary Medicine Specialist (CCMS) designation identifies clinicians who have a unique foundation for incorporating healthy eating into patients’ diets: comprehensive knowledge of nutrition and the culinary techniques to prepare food that is consistent with real-world budgets, time constraints, and nutritional ideals. Physicians, Physicians Assistants, Pharmacists, Registered Dietitians and Nurse Practitioners are eligible for certification. The hybrid 60-credit curriculum includes a distinctive combination of online nutrition education courses, live conferences, and in-person attendance at hands-on teaching kitchen modules. Visit healthmeetsfood.com for more information. $50.00 off for those in academia using their institution email address during registration – use code iteachlegumes at check out. $100.00 off for RDs, nurses, pharmacists, certified diabetic educators, chefs and those working in foodservice – use code legumesaregreat at checkout. $125.00 off for students attending the International Society of Neurogastronomy Symposium only – use code traineeISN at check out. $250.00 off for students attending Health meets Food only (this is limited to ten students on a first come basis) – use code ilovelegumes at check out. Students wanting to attend both the ISN Symposium and Health meets Food may use both codes for $375.00 off (this is limited to ten students on a first come basis). This year’s conference will be held at the New Orleans Culinary and Hospitality Institute and the Sheraton Hotel. We have secured a great rate for rooms and you can book right this very minute. There will be limited rooms so book your room as soon as possible to make sure that you don’t miss out. You can see a detailed schedule for our Continuing Medical Education classes and sign up at our CME page. This is a great video shot by the Alliance for a Healthier Generation. It was shown at the ceremony where the Goldring Center for Culinary Medicine was awarded the Innovation Award for Health Care Provider Training and Education. More information on their website at healthiergeneration.org. 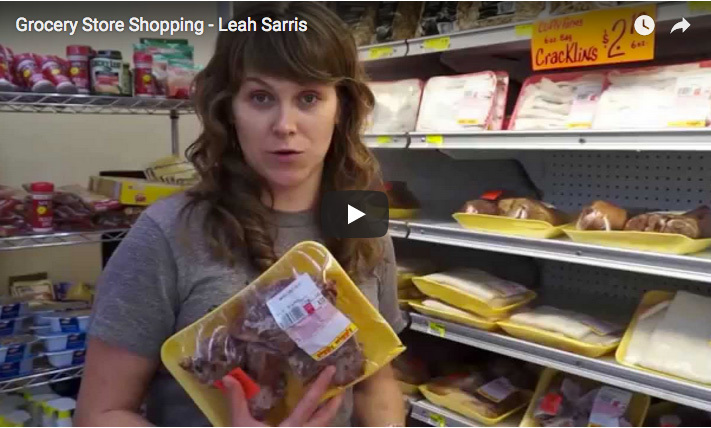 Don’t miss this great video of Chef Leah shopping for a family of four. A week’s worth of groceries for not much money! GCCM is now enrolling families for cooking classes. We are offering Free Family Cooking Classes to families with children enrolled at a N.O. College Prep Schools (Crocker, Cohen and/or Sylvanie Williams). Parents and children will learn side-by-side how to cook healthier foods, how to cook together, how to prepare healthy foods inexpensively and MORE! Contact Chef Katie at kpedroza@tulane.edu, or call 504-988-9108 if you are interested. 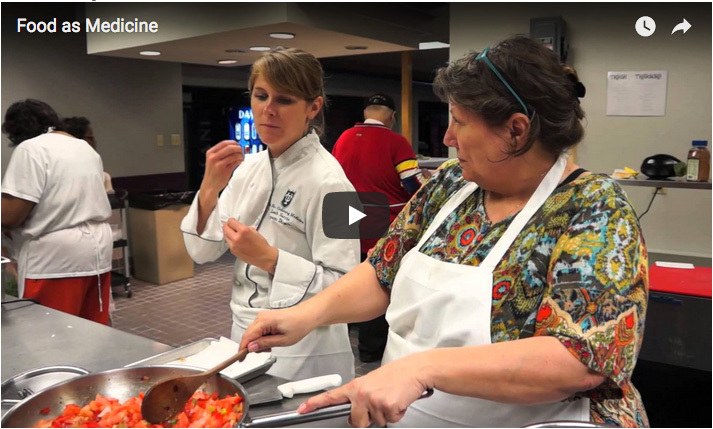 Watch the video below to experience our community cooking classes for yourself! 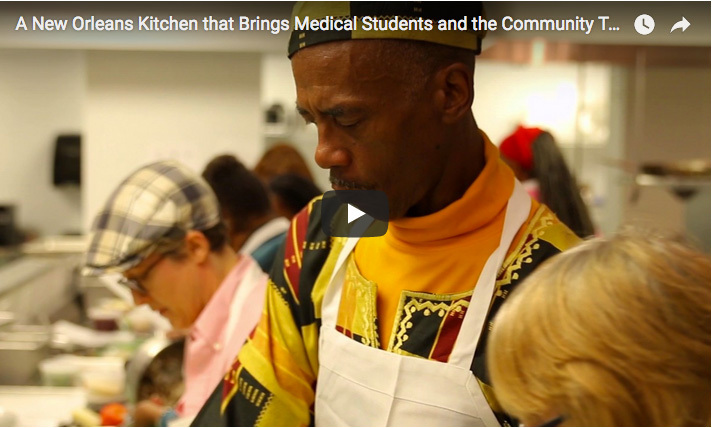 The clip includes testimonials from community members, medical students, volunteers, and our very own Chef Leah! Like us on Facebook and follow us on Twitter to get the latest from The Goldring Center for Culinary Medicine.